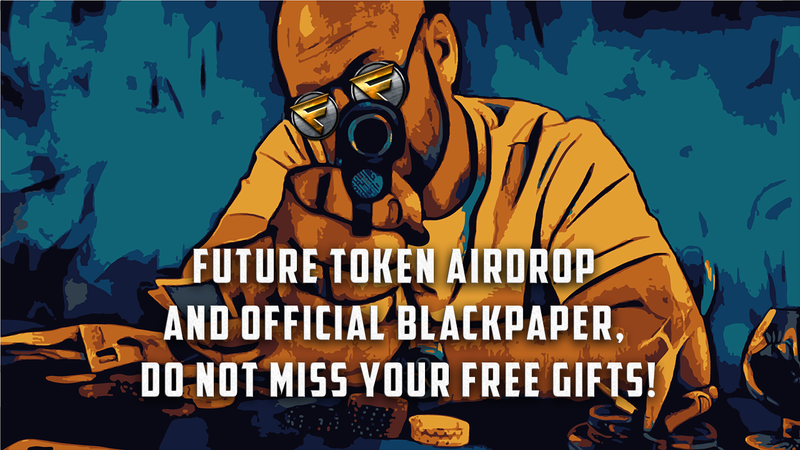 Greeting everyone and welcome to our special announcement about the Future token, its airdrop and the first version of the official blackpaper. We have been working from dusk to dawn literary but are finally ready to present to you our first large document that provides background info, market analysis, projections, roadmap, explanations, risks involved and many other things. It is quite comprehensive but we are sure that the time necessary to read it will be well spent because you will end up richer by extensive knowledge and a deep understanding of our project. The second important thing we will tell you about is the airdrop of our token called FUTURE. We have already introduced what was going to happen in our previous update post but will go into more detail now and explain to you how you can participate in the airdrop and where. It is fairly simple and there is no reason to worry that you will miss it or do it wrong. We are here for you and will be glad to help you understand everything. We would also like to take this opportunity and thank some of our gamers who have already made tutorials and posted about precise steps you need to make to create an Obyte wallet. 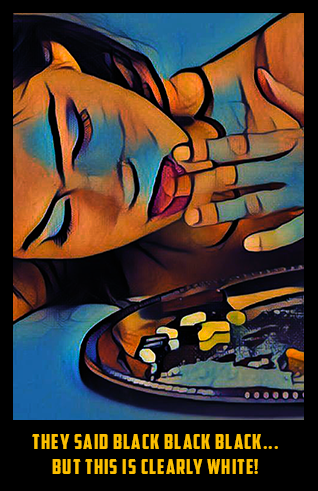 You can find them in our discord channel called drugwars-related-post. Most companies have a document called "whitepaper" that serves as a guide with all the useful information about a certain project. The official definition of the "whitepaper" varies not only from one industry to another but from one company to another and sometimes, even from one person to another. In general, it is the authoritative, in-depth report on a specific topic that aims to both educate and attract investors. Since the official color of Futureshock is black, we decided to go on that note and keep being different than the others so we made the Blackpaper, not a white one. From a metaphorical standpoint and the connection to physics, white color reflects all colors of visible light while black absorbs them and keeps them (that is why you are hot in black clothes on a warm day and feel better in white). We aimed for our blackpaper to contain all the information and we will keep working on it so it becomes more than just a guide. It will be a complete rulebook, business proposal, educational material, and an in-depth report. Our work on it is not done so please keep in mind that this is not the final version but since it already has more than enough of data to be presented to the public and since we have decided to keep things transparent, consider this the first official version. It will be updated and you will be notified when those updates to the document happen. This way, you can keep track of our progress, decision making and are we on track with our own plan. Since this is our gift, you are not obligated to take it but who ever refuses free gifts anyway? We will airdrop 5% of the 1B tokens. Every account participating in the airdrop will get AT LEAST 50 tokens plus the percentage. The percentage is personal investment divided by the total investment. For example, of 1B tokens, 5% is 50m and if a person invested 10% of the total investment ingame he or she will get 5M tokens. Oh and, kudos to @emrebeyler who found the tokens before the airdrop and already bought 9 of them. Yes, you can buy them too and will soon be able to trade them and use them in the game. Want a simple tutorial to use your Steem account with Obyte? Here you go! We are very happy with our decision to use Obyte. These two chains already share some history. In 2018, the Obyte team airdropped Bytes to 70k Steemians based on their Steem reputation. Our satisfaction with their behavior being collaborative, open, and transparent with excellent technology is beyond words. Their support system is fast and reliable and the fact that Drugwars can work on two platforms (Steem and Obyte) gives us bigger chances of reaching more people since not all are on one or another and we are able to expand to more customers and investors. We have not received any incentives from them for being on their platform and see no such plans in the future but will not refuse investment if it ever gets offered. The possibility of being listed as one of the first Obyte assets on big exchanges has value and will speak volumes. With our decision to enable players to choose between payment in steem, Future token or both, we are not only giving people choices and allowing them to be responsible for their decisions but also providing a way to participate in more than one token accumulation. and enjoy your free FUTURE TOKENS!